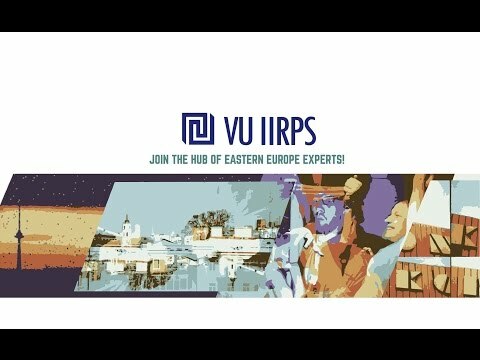 Institute of International Relations and Political Science of Vilnius University (IIRPS VU) will be celebrating its 25th anniversary on 7th of February, 2017. It will be a whole week of festivities at our Institute on 6th-10th of February. We have an idea to share inspirational stories of our staff, alumni, friends and partners. During the week, there will be 25 meetings with inspiring people from our community who will give short 25 minute speeches. They will share their interests, experiences, struggles and success stories. We are happy to invite to the meeting with, H.E. Ambassador of United States of America Ms. Anne Hall on Thursday, 9 February at 11:25 a.m. Madam Ambassador will give a talk on topic "Be open to unexpected". On Friday we welcome you to join our birthday reception at the Martynas Mažvydas National Library of Lithuania, which will take start at 6:00 p.m. on 10th of February, 2017. Reception will be followed by the party at the „Tamsta“ club (A.Strazdelio str. 1, Vilnius) from 9 p.m. and will extend late into the night. IIRPS Studens and Alumni band, and special guest, DJ Gintaras, will be performing. Entrance fee - 5€.